Referred to as the Gateway of the Wayanad district, Lakkidi is a beautiful hill town in the South Indian state of Kerala. Placed on the Thamarassery Ghat Pass, Lakkidi is situated at the highest point in the Wayanad district. The high mist-clad mountains, green vegetation, cascading streams, thick forests, various tourist attractions, winding roads and pleasant climate of Lakkidi, every year attract a decent number of tourists from Bangalore during the weekend. This beautiful hill town boasts of a number of scenic locations and enchanting view points. You can have a relaxing vacation amidst the serene ambiance of Lakkidi. You can also indulge in wildlife viewing, boat riding and trekking here. The nearest airport to Lakkidi is Karipur International airport in Kozhikode, which is located at a distance of just 110 km. You can board a bus from Bangalore to go to Kozhikode/Calicut and from the airport, you can rent a taxi to Lakkidi. It is suitable that you rent a cab to Lakkidi from Bangalore. Another option is that you board a state-run or private bus from Bangalore to Lakkidi. Around 3 km from Lakkidi, Pookot Lake is a beautiful freshwater lake in Wayanad district that is placed at an altitude of 770 meters above the sea level. Nestled amidst mountain slopes and green forests, this lake is popular for being an amazing picnic spot, which is flocked by tourists as well as locals, alike. You can partake in boat riding on the calm waters of the lake. Around 5 km from Lakkidi, Palappuram is a beautiful small town, housing a number of tourist attractions, mainly comprising temples. Do not miss visiting Chinakkathoor temple- dedicated to Goddess Durga-popular for the Chinakkathoor Pooram festival, Dakshinamoorthy Temple, the Mariamman temple, Someswaram Temple- founded by Sage Parasurama and the St. Mary’s Church. Palappuram is placed between the Palakkad and Shoranur regions. Also known as Padoor, the scenic Padur village is just 18 km away from Lakkidi. Away from the hustle-bustle of the city life, Padur is a relaxing retreat, which houses Sree Panickanar temple, which is flocked by devotees mainly at the time of yearly Padur Vela festival. During your visit, enjoy some memorable moments here with your loved ones. Just 12 km from Lakkidi, Pazhayannur is a tiny town, blessed with a pleasant climate and serene atmosphere. This town is home to the very well-known ancient temple dedicated to Goddess Bhagavathi. It is said that this shrine was built by the Maharajah of Cochin (Paradevatha family), who visited this site 100 years ago. The temple is the venue of its annual festivals that is attended by a large number of devotees. There is a Lord Shiva temple as well, nearby. Around 22 km from Lakkidi, Chelakkara has a number of temples, popular in the form of tourist attractions. In this town, you can visit the two ancient temples of Narasimha Murthy and Anthimahakalan. Ayyappan Kavu and Sree Subhramanya Swami Kshetram are the other popular attractions that are dedicated to Lord Shiva and Lord Thiruveembilappa. 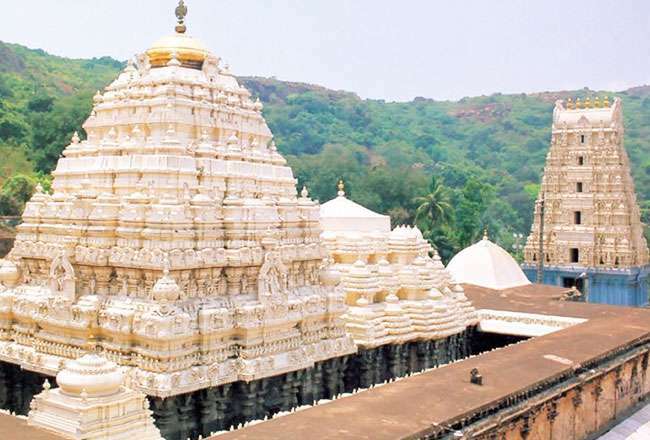 Other attractions of this place include a dam, St. George Church, Sree Dharma Sastha Temple and St. Mary’s Forane Church. Situated in the Palakkad District, the town of Manissery is around 12 km from Lakkidi. The ancient mansion of Varikkasseri Mana is the main attraction here, which is also the site where several south Indian movies have been shot. Originally belonging to a Keralite Brahmin, this mansion with traditional Nalukettu-style architecture also houses a huge beautiful pond called Kulappura. Constructed by Cheraman Perumal on the orders of Kapila Maharshi, a Vedic sage, Vennimala Sree Rama Lakshamana Perumal Temple has an excellent piece of traditional Kerala temple architecture. This west-facing shrine has an entrance that is adorned with a Dwara Gopuram. The temple complex consists of beautiful idols and sculptures of Lord Rama, Lakshmana Perumal, Ravana, Lord Shiva, Goddess Mahalaxmi and Lord Venugopal. The inner courtyard of the temple has Namaskara mantapa and the main shrine. This temple becomes the venue of annual Aerattu festivities, which starts from Rohini in Makara and ends on Rohini in Kumbha.